This recipe makes 2 loaves so you can freeze one for a later time. Make sure you wrap it well in plastic wrap and then place it in a zip-loc bag. This prevents frost from getting in. 1. Preheat oven to 350F and butter or spray the sides and bottoms of two loaf pans. Set aside. 2. In a bowl, combine milk, eggs, lemon juice and vanilla. Whisk until combined. 3. In the bowl of a mixer, combine flour, sugar, baking powder, salt, ans freshly grated lemon zest. Mix to combine. 4. Add the softened butter to the flour mixture. Cream for 2-3 minutes until fluffy. 5. Gradually add the milk mixture in 2-3 parts, mixing thoroughly for about 30 seconds to 1 miute before each addition. 6. 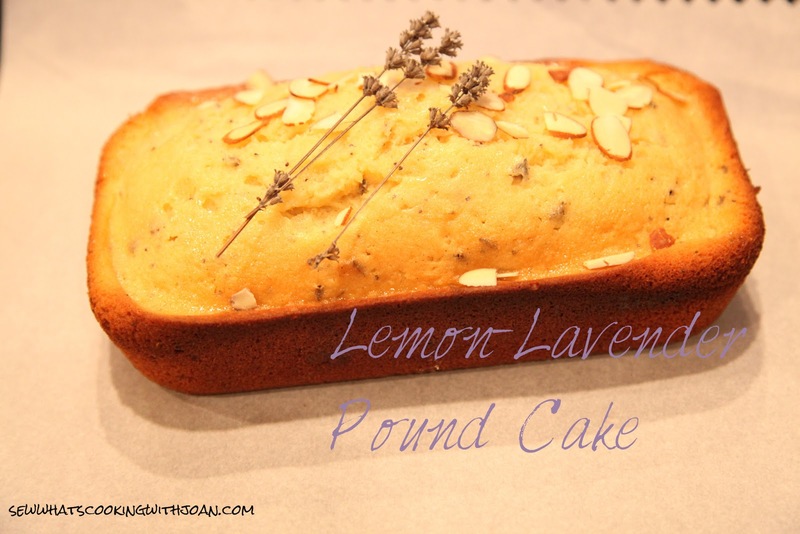 Mix in the lavender flowers, poppy seeds and vanilla bean until evenly distributed through the batter. Be careful not to overmix. 7. Divide the batter into the two loaf pans. 9. When a toothpick removed from the center comes out clean, the cakes are done! Remove from the oven and let cool for 10 minutes on a rack before turning the cakes out. Let cool completely. 4. 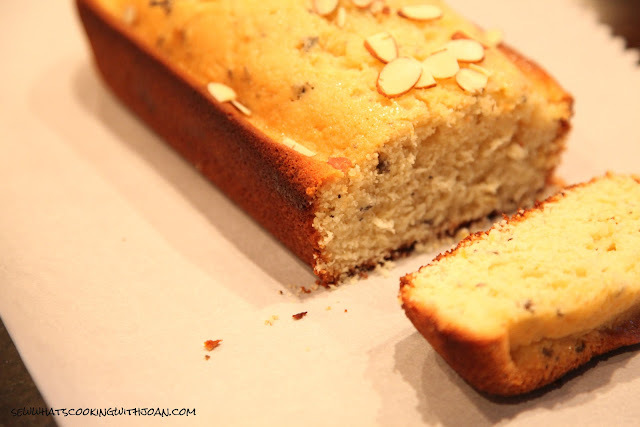 Immediately top with a sprinkling of sliced almonds, is using. Happy Friday to all and visit on Monday as maybe we will catch another glimpse of JJ's Wonkey Gourd!! 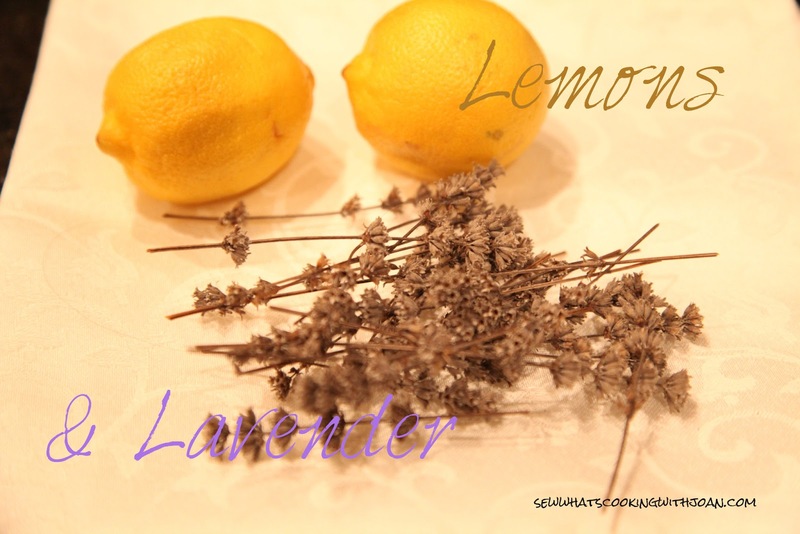 I have wanted to do some baking with lavender and I even planted some this past year. Thanks for sharing on Foodie Friends Friday and hope that you will join us this coming week.